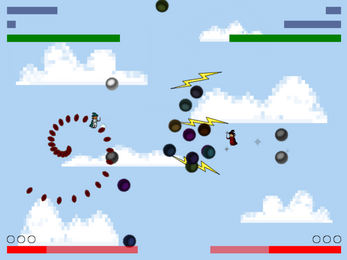 A fighting game made by a team of primarily STDev members for a 48-hour Game Jam in September 2014. The theme was "Magic" and the game was made in Game Maker. Enjoy a single player survival mode in which you must fly around and avoid the spells of an evil wizard or play your friends in a best 3 out of 5 wizard duel! You will need one or two controllers to play. Press Y. Use left joystick to avoid enemy attacks. Select your spells with left and right trigger. Select your bullet fire rate with right joystick. Click A to confirm when ready. Using left joystick to move, right joystick to fire bullets, and the triggers to fire spells. 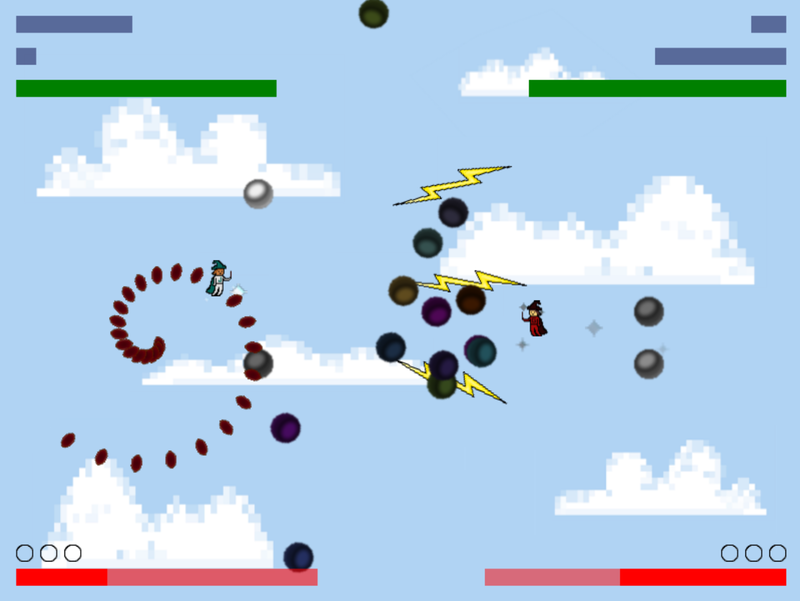 Beat your opponent in a best 3 out of 5 wizard fighting match!